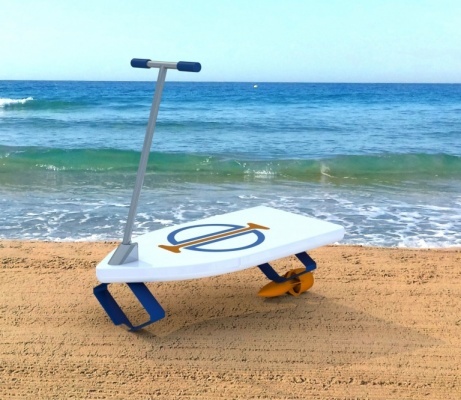 The eSurfScooter which is developed in Germany is supposed to make Electric Foil Surfing easy. The electric hydrofoil with a handle can make up to 18.6 mph or 30 km/h. Graphidia is a watercraft & scooter startup located in the Southwest of Germany and is currently developing the eSurfScooter, a new and patented watercraft. The name eSurfScooter was created because it allows for surfing like with a common surfboard, it is controlled and can be steered like a scooter and it is powered by an electric propulsion system. The eSurfScooter has a steering system and hydrofoil technology on board and lets you cruise or even fly over the water surface. The steering system comprises a handle bar which can be rotated in order to control the direction of the eSurfScooter. Additionally the handle bar serves as a support device for the driver. 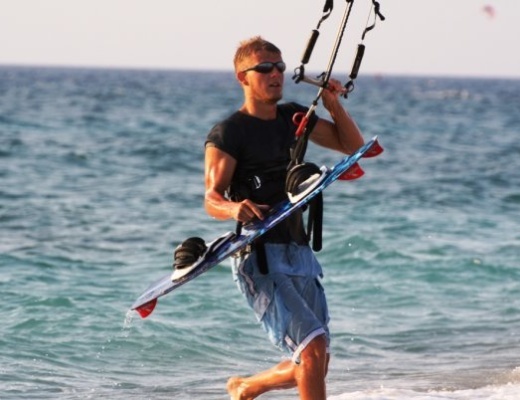 You are able to hold the bar in your hand which prevents falling from the board, such that even beginners without any surfing experience are able to drive the eSurfScooter. On the handle bar there is a throttle control which lets you control the driving speed by rotating the throttle control with your hand. 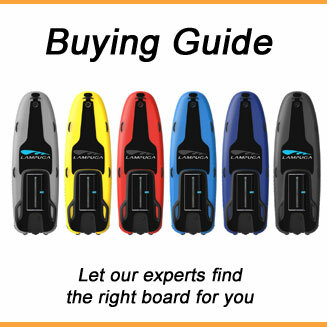 The handle bar is attached to a front hydrofoil which is located on the bottom surface of the board. The front hydrofoil rotates depending on the drivers steering movement. 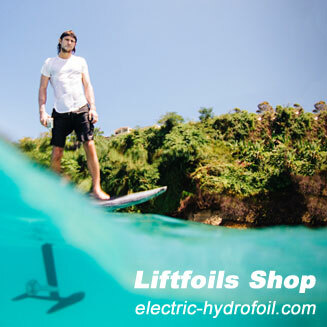 The hydrofoil generates a dynamic lift force on the eSurfScooter, the actual force depending on the driving speed. A further hydrofoil is attached on the back of the eSurfScooter to provide an additional lift force. Both lift forces from the front and rear hydrofoil system are properly balanced such to allow stable driving, while cruising over the water surface. 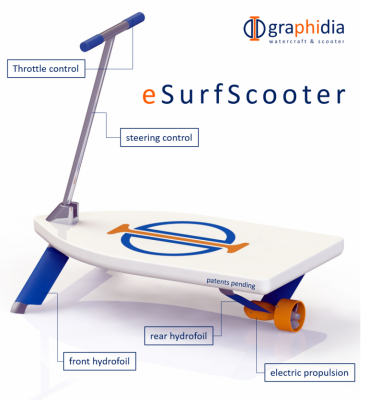 According to Graphidia, there will also be versions of the eSurfScooter where the rear hydrofoil is also steerable or where the propulsion system generates the steering force. 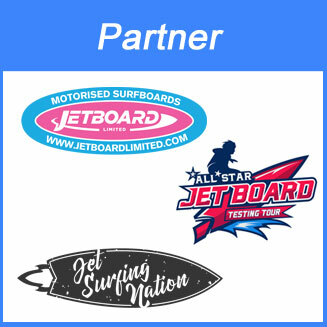 The rear hydrofoil supports the propulsion system, comprising an impeller which is rotating in an enclosing housing to prevent damages to the structure, the environment and to persons surrounding the eSurfScooter. The electric driven propulsion system is driven by a brushless motor having 4 kW of electric power and which is arranged inside a sealed motor housing. The housing is attached to the hydrofoil structure, while the power cables are arranged in the hydrofoil and connect the motor with a battery. 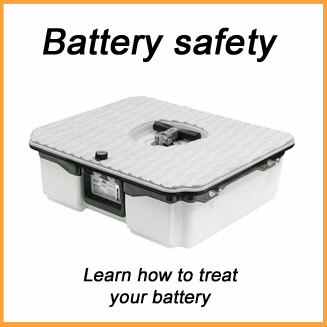 The battery in 10s configuration is included in the board and has a capacity of 2 kWh. 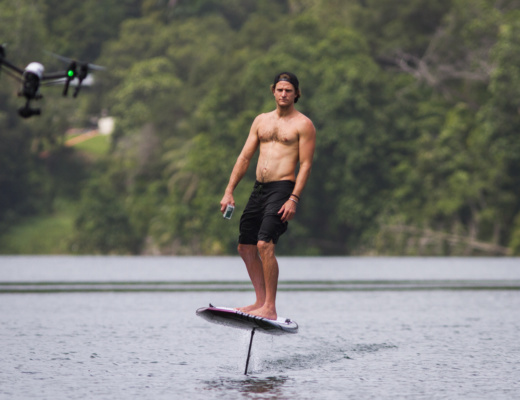 Due to the hydrofoil system, a riding time of 45 min could be achieved until the battery has to be charged again. A full charging cycle takes 2 hours. The overall weight of the eSurfScooter is 27 kg due to the use of a lot of high-tech materials, aluminium and composites parts. 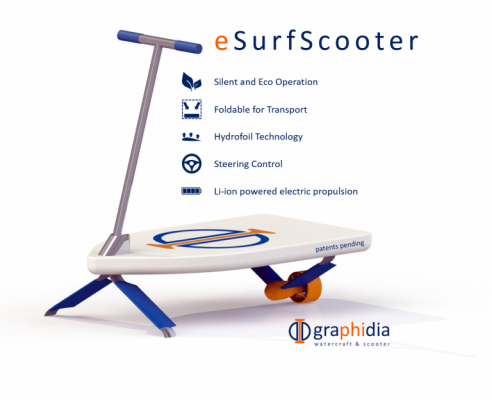 The eSurfScooter size will be 1,80 x 1,50 x 0,80 m. But for transport, the handle bar, the front and back hydrofoil can be retracted towards the board or removed completely such that the transport dimensions of the eSurfScooter are reduced to 1,80 x 0,20 x 0,80 m. The sales price is not fixed yet, but according to Graphidia it should be less than 9 000 Euro. 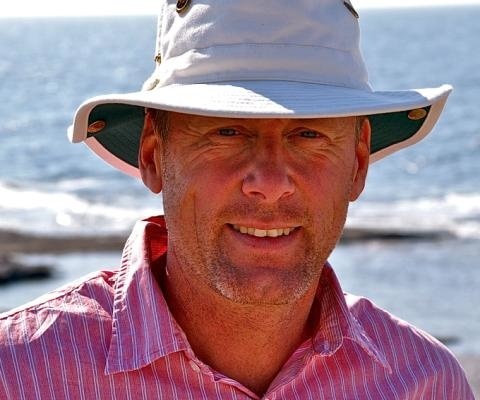 There is currently a big hype about electric hydrofoils and this product will be a good product for beginners and families. The Scooter is still in development and testing. We expect live videos to show up very soon. 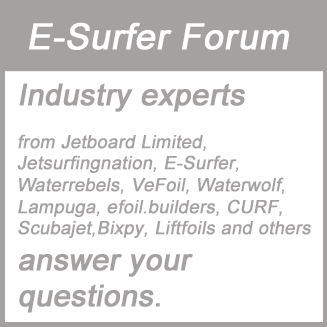 We will keep you informed about this Electric Foil Surfing project. 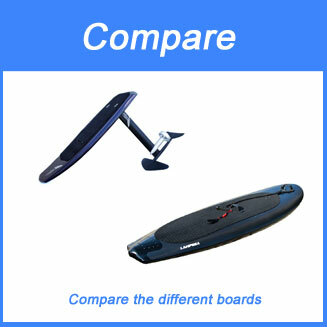 You can compare this board with other projects in our E-SUP comparison.